Looking for the best used car overall? Of course, you’ll want reliability, but also performance, safety, fuel economy, comfort and convenience and a few other considerations. According to Consumer Reports, the most reliable vehicles come from the Asian nameplates. Topping the lists are vehicles from Honda and Toyota. The top 3 best used Japanese cars identified here are listed for their high marks from Consumer Reports, Consumer Guide, National Highway Traffic Safety Administration (NHTSA), the Insurance Institute for Highway Safety (IIHS) and other sources. Certainly they are somewhat subjective, and there are other vehicles that could be on the list as well, given that Toyota (Lexus) and Honda each has numerous models to choose from. Your own choice may be something different than any of this trio, but they’re definitely worth a look. Acura TL (2006-2009) – From Acura, Nissan’s luxury division, the TL is an entry-level luxury car which Edmunds hails as “well built and exceedingly easy to live with as an everyday companion… an excellent choice overall.” Acura TL, whose third generation debuted in 2004, features a 258-horsepower 3.2-liter V-6 engine or 286-horsepower 3.5-liter V-6 engine in Type S, 6-speed manual or 5-speed automatic transmission with paddle shifters. 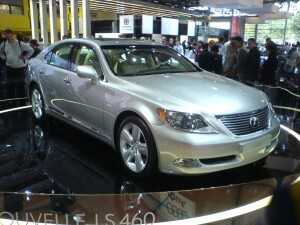 The 2009 TL is an IIHS Top Safety Pick, and also receives a perfect 5-star rating in NHTSA crash and rollover testing. Consumer Guide gives TL its Best Buy recommendation, and in a review of 2004-2008 models, says TL is “an impressive balance between sport and luxury.” Pros include build quality, steering/handling and acceleration. Cons include cargo room. Consumer Reports lists TL as best in overall safety. Honda Accord (2006-2009) – No list of best Japanese models would be complete without mention of the Honda Accord. Consumer Reports lists Accord as its best Family Sedan in Top 5 Economical Cars for 2008, saying Accord is a “roomy, well-rounded sedan that’s easy to live with and enjoyable to drive. With 4-cylinder and 6-cylinder powertrains available, Accord features standard electronic stability control, Consumer Guide gives the 2003-20007 Accord its Best Buy recommendation and says, “Augmented by precision engineering, enviable refinement and Honda’s own envious record of reliability, that hit-making blend helps make the Accord a Best Buy.” Pros include acceleration (V6), instruments/controls, steering/handling, quietness and build quality. Cons include rear seat entry/exit and rear-seat room (coupe). Redesigned in 2006, the Accord remains popular on consumer used car buying lists. It receives the IIHS Top Safety Pick in 2009 and impressive NHTSA crash and rollover testing marks. Other top used Japanese cars worth a look include the Honda Civic and Odyssey, Infiniti G35, G37 and M35, Lexus ES 350, and Toyota Prius, Echo, Camry, Corolla, Matrix and Sienna XLE (FWD). Is your top pick among any of these? Do your research and then go out and make your best deal. To start your search of cars for sale, visit http://www.iSeeCars.com , a leading search engine for finding over 2 million cars for sale from more than 11,000 websites.